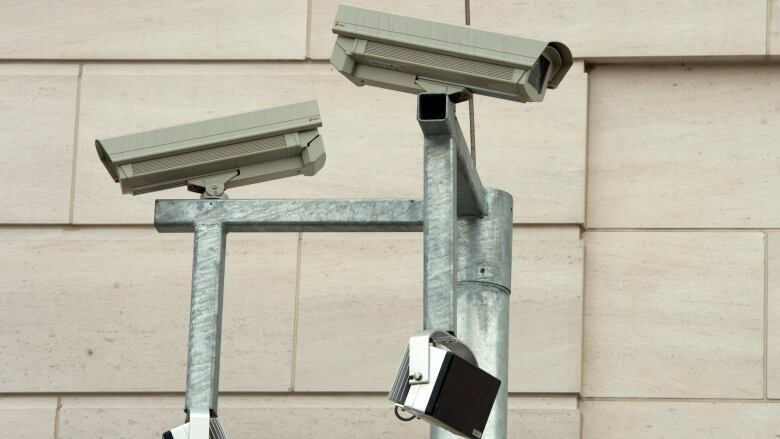 A proposal by the City of Terrace to use surveillance cameras in two well-used outdoor spaces has been rejected by B.C.’s Office of the Information and Privacy Commissioner. A proposal by the City of Terrace to use surveillance cameras in two well-used outdoor spaces has been rejected by B.C. 's Office of the Information and Privacy Commissioner. The office reviewed the proposal and said it would likely break B.C. 's privacy laws, if implemented. Acting deputy commissioner Bradley Weldon told Daybreak North host Carolina De Ryk said there is "very little, if any evidence" that cameras would improve personal safety or protect property. Privacy watchdog questions legality of surveillance cameras in Kelowna, B.C. "But the privacy harm, which is us being tracked and monitored in public spaces where we have a right to be as we just go about our daily business, is happening 100 per cent of the time," Weldon said. He said facial recognition is improving quickly and will soon be available in almost every security camera system. That would allow almost any camera user to track and catalogue park users, "sort of tantamount to a security guard… checking your ID." Weldon said public bodies should only be using cameras in areas of heightened security concerns — like courthouses — or after hours in places like dumps to prevent illegal dumping. He said a public space where people have a right to be don't qualify. The idea of installing cameras was put forward by Coun. Sean Bujtas as a way of addressing concerns about vandalism and mischief in George Little Park and Brolly Square. Both sites have been hotspots for police with RCMP responding to more than 200 calls at the parks in 2017. The city typically budgets $10,000 annually for repairs to George Little Park due to vandalism and damage. City spokesperson Karisa Petho said the cameras were merely a suggestion from council and "all options" are on the table for improving downtown security. She said the surveillance camera idea will be discussed at a future council meeting.